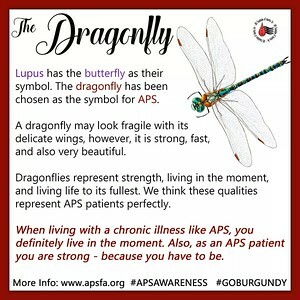 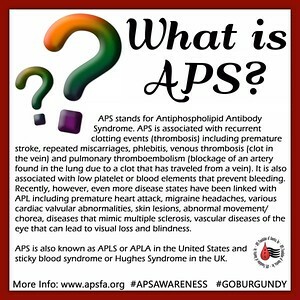 APS Awareness Month ~ Day 9: WORLD APS DAY! 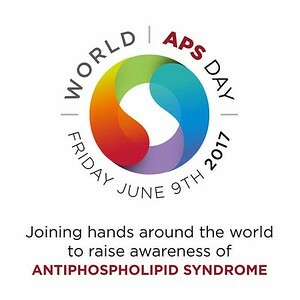 Today is WORLD APS DAY!! 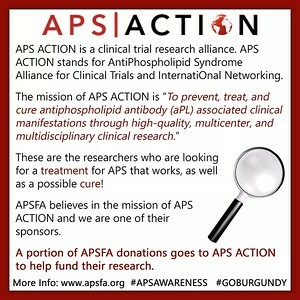 Please join the APSFA, APS Support UK (formally Hughes Syndrome Foundation) and other organizations worldwide in recognizing June 9 as WORLD APS DAY! 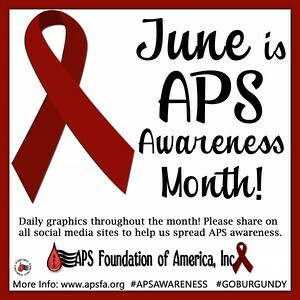 Make a pledge today to help us raise awareness of APS!!! 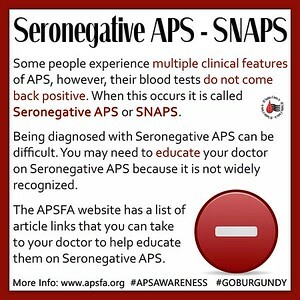 Share this graphic on FB, and feel free to save it to share on Twitter, Instagram, Tumblr, on your personal blog, or anywhere online. 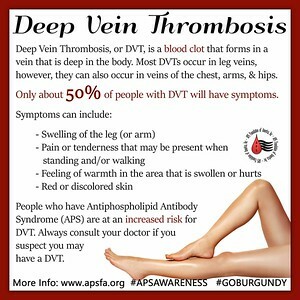 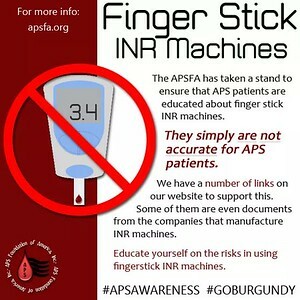 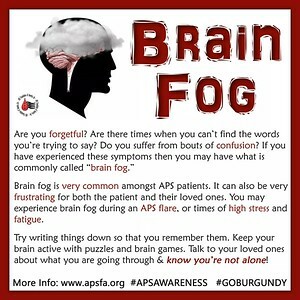 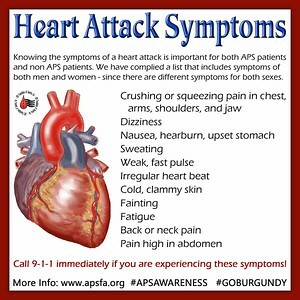 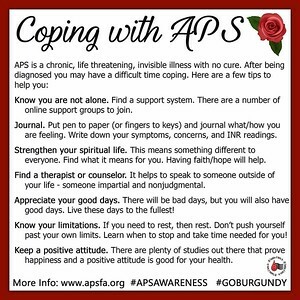 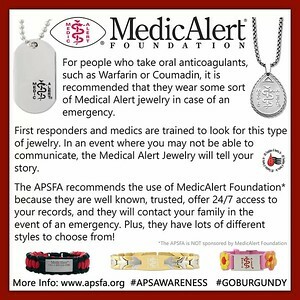 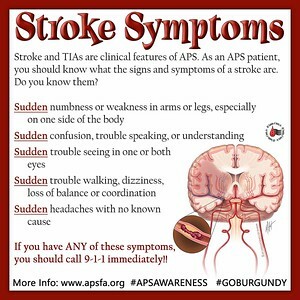 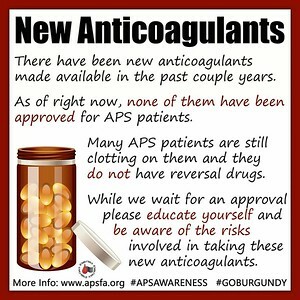 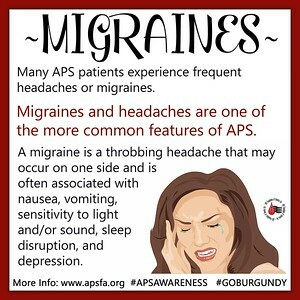 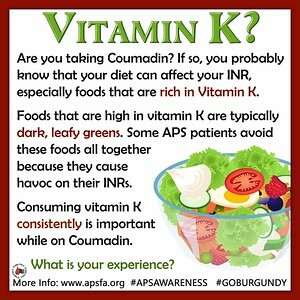 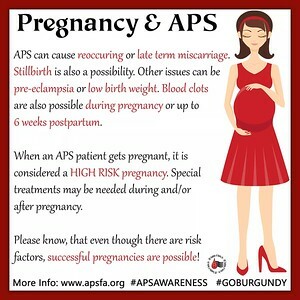 Don't forget to use hashtags #APSAWARENESS, #GOBURGUNDY, and #WORLDAPSDAY . 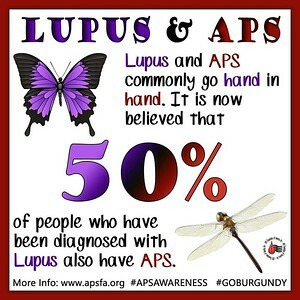 Together, we can raise awareness!!! 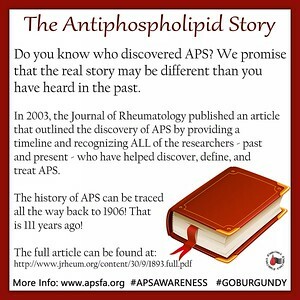 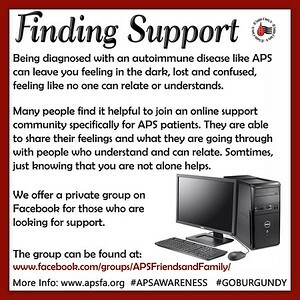 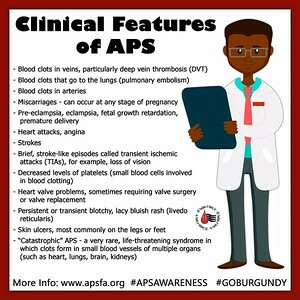 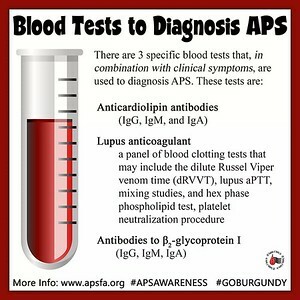 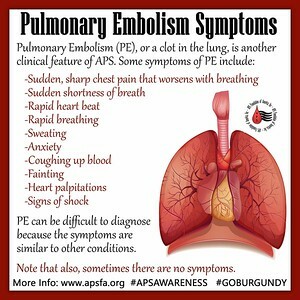 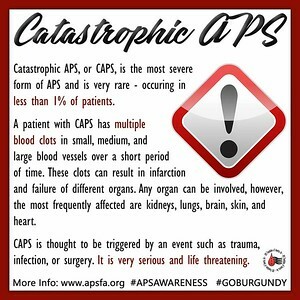 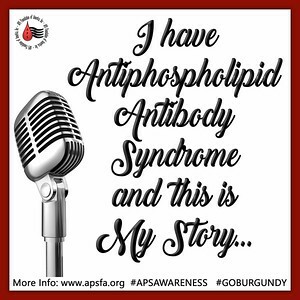 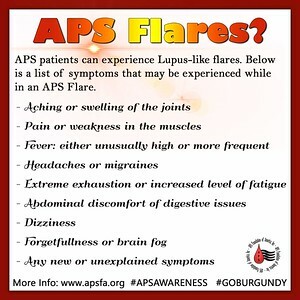 Please share this post and join APS Foundation of America and our friends around the world in raising awareness of antiphospholipid syndrome.